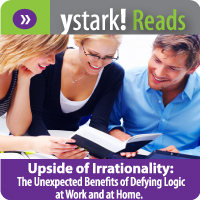 Upside of Irrationality: The Unexpected Benefits of Defying Logic at Work and at Home. Click here to find out more about the book at and then start reading! Join us for our discussion of the book in February - two times are available, pick one that works best for you!